When it comes to septic tanks and systems, it’s pretty much never a DIY situation. A malfunctioning septic system can contaminate Miami drinking water supplies and cause flooding, as well as create sewage backup and biohazardous situations. If you need a septic system installed, pumped or repaired, hiring a certified Miami, FL septic professional is a no-brainer. A to Z Statewide Plumbing, Inc. is a full-service plumbing contractor with the ability to service and perform emergency and routine plumbing repairs. In addition, we perform preventive maintenance checks, service of existing equipment, and installation of new plumbing fixtures. We also maintain and clean septic tanks, grease traps, and storm drains. Environmental remediation is also available. 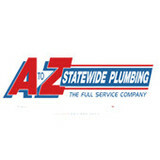 A to Z Statewide Plumbing has an extensive history of repair and service on all kinds of plumbing systems.We provide quality workmanship with professional, dependable and courteous service every time! We offer 24-hour emergency service so that you can count on A to Z Statewide Plumbing to be there when you need us the most. Affordable Septic Solutions, LLC is a full-service residential and commercial contractor serving Miami-Dade and Broward counties. Whether you need your septic tank pumped, your clogged drain snaked or your sewer lines inspected, we are the most reliable and qualified company you can call. Our professionals provide prompt and precise septic services at rates that won’t break the bank. No job is too big or too small for our experts! At Affordable Septic Solutions, LLC, our top priority is to make our customers happy. The only way we know how to do this is to provide exceptional services with complete customer satisfaction. We work hard to make sure you are happy! Our business is our livelihood but it is also so much more. First Call Septic Services Inc. was started to fill in a void in the current market and to make a business that people can place their trust in. Over the years we have never lost our commitment to our clients and that is what has allowed us to succeed in a very competitive industry. The employees of First Call Septic Services Inc. stand committed to our purpose and will provide the best service! International Grease Trap Corporation is a Hialeah company you can trust. 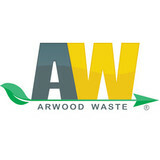 We ensure your satisfaction and to uphold the highest quality standards. Rely on us for installation or repair. We are a family owned and operated business serving Miami-Dade and Broward County. With over 20 years of experience, licensed and insured. Always providing the highest quality work with our state of the art trucks and equipment. 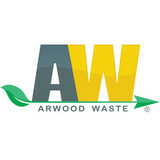 Dedicated to our customers and helping resolve any issue with their grease trap or septic tank. A R F Plumbing Company has been providing septic services in West Park, Florida since 1979. Septic Maxx offers septic protection plans and environmentally friendly septic system additives that keep your tank running smoothly. Holistic specialists use functional medicine laboratory testing, Chinese medicine (acupuncture and herbal therapy), medical massage, and nutrition to correct metabolic imbalances and design a preventive medicine plan for each individual. If you are looking for a reliable septic service in the Miami area, look no further than United Septic & Grease Services. Our expert septic technicians are highly trained and provide the best in Miami septic tank repairs, septic cleaning and commercial grease trap services. With 24 hour services, our technicians are on call to handle your last minute emergencies whenever you need us.